The Anémones has a cosy and intimate style, with the attractive restaurant setting the scene for enjoying your delicious Chalet Hotel cuisine (with two evening meal sittings). The small but invitingly atmospheric bar offers Free Wi-Fi access and TV/DVD, as well as some of the best value prices in Courchevel! Our team is always on hand to help you enjoy your stay to the full, with many guests returning year after year. Children of all ages are welcome in all our Chalet Hotels on all dates. We serve a separate High Tea at 5:30pm for children aged 10 years and under with an appropriate menu. However, parents may elect for their children (10 years and under) to eat with them at the adult meal times on payment of a £39 per child per week supplement. 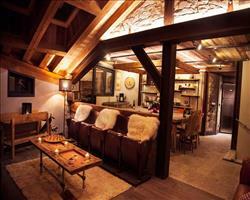 Each has its own bar – in most cases open to residents only – the ideal place for your choice of après ski tipple. 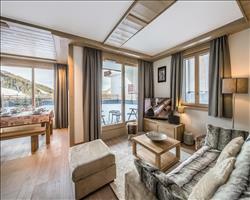 We update Chalet Hotel Les Anemones's details often, but facilities do change. e.g. some extras listed by the supplier as "free" or included might only be for the first time you use them, or for one time per party, then charged for further use. If any specific feature is essential to your holiday, make sure you ask us to confirm the details of it before you book your holiday. Courchevel lift pass price last reported as €218 (adult 6 day). 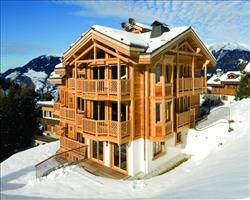 Ask for a quote when booking Chalet Hotel Les Anemones. 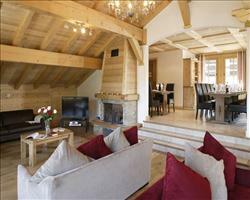 Chalet Irma Courchevel France, Gatwick to Chambéry 15th December. 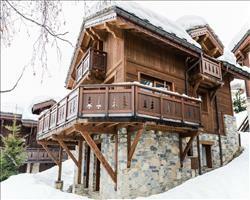 Chalet Le Blanchot Courchevel France, Gatwick to Chambéry 15th December. 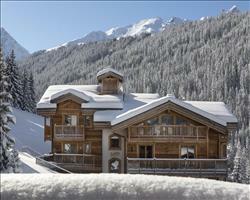 Chalet Les Marmottes Courchevel France, Gatwick to Chambéry 15th December. 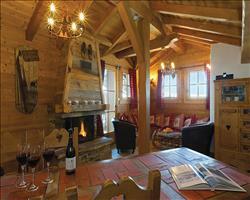 "Very friendly chalet in best location!" Amazing location. New to several big lifts including cable cars for quick access to the slopes. Ski back almost to door. In a pictureque setting surrounded by all the expensive shops....great for window shopping. 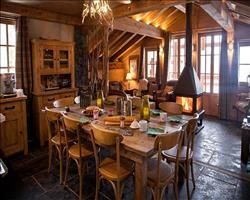 Such a comfortable relaxing chalet. The staff were always friendly. Very good food. Always enjoyed the fab afternoon tea of homemade soup, french bread, jams, homemade cake and biscuits. Evening meal always impressive for a chalet. Everyone collected in the bar before and after dinner....adults and children. This made it a great place to unwind and talk about the day and we soon got to know lots of new people. Only negative was bedding had seen bettrr days and needed replacing. Bedrooms also in need of some tlc. Only problem is that would probably put up the holiday price well above what we could afford given location! Would definately stay again. "A great location, quality, and price, in a lovely resort!" For me, one of the best things about the Anemones was the location. It is literally meters from three lifts, which is great for me as I’m lazy when it comes to carrying skis – the staff also return your hire gear to the shop for you at the end of your stay! Courchevel 1800 itself is really beautiful too – the Anemones opens onto the village square which is a lovely place to sit in the sun after skiing – there was also a carousel, sleigh rides, and a free cheese tasting there when we stayed! Inside the rooms were airy as they all had french doors - they were basic in décor and could be done up a bit, but they had a mini fridge and a TV with English channels - which was nice when we had a day of bad weather. Sadly the bar and the restaurant have no windows so you don’t have the views, but they are cosy and traditionally decorated. 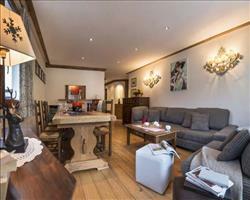 Another guest told me this place was a 'God send' in terms of price and quality in the notoriously luxurious Courchevel. The food and drink was amazing – I was never hungry! There was a large selection of goodies for afternoon tea – the homemade soup and bread was lovely when you came off the slopes, and there were at least two different baked treats and fruit to choose from! Over the large and varied breakfast, you could choose your menu options for dinner and which sitting you wanted – we always got out first choice. You could order a packed lunch too. Each night there were canapés and a cocktail before each dinner sitting, followed by a tasty three course meal with plenty of wine, and then a cheese board (a personal highlight!). The staff were lovely and really helpful – and our rep ran some very enthusiastic quiz nights in the bar – she even crawled round the floor impersonating a hedgehog with me when I got stage fright in the charades round! Despite the size, we still got a nice social chalet atmosphere and made some good friends over the week – this was helped by the seating plans for the restaurant which seemed to intuitively put guests who bonded well together. I would definitely love to stay here again, and would recommend it to anyone! Everything was brilliant. The chalet hotel is really good. I would definitely recommend it. Thanks to SNO for booking it. The people (the staff) were really nice, the food was really good. It was set courses every evening. It’s a family-ish orientated place but we went as a group and had a laugh. There were bars to go to in the evening. It was pretty much doorstep skiing. I thought the staff (especially the manager) were fantastic – the best in all the chalets I’ve stayed in. The place itself is very dated and could definitely do with an upgrade. I’m glad we were there when it was half full, the breakfast area was packed as it was, so I’d hate to think what it would be like full, they’d probably have to do 2/3 sittings. The food was excellent; you could tell it was the end of the season as there was a bit of repetition as they were using up ingredients. 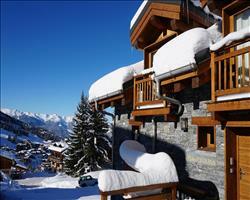 Overall the value for money was great for skiing in Courchevel.